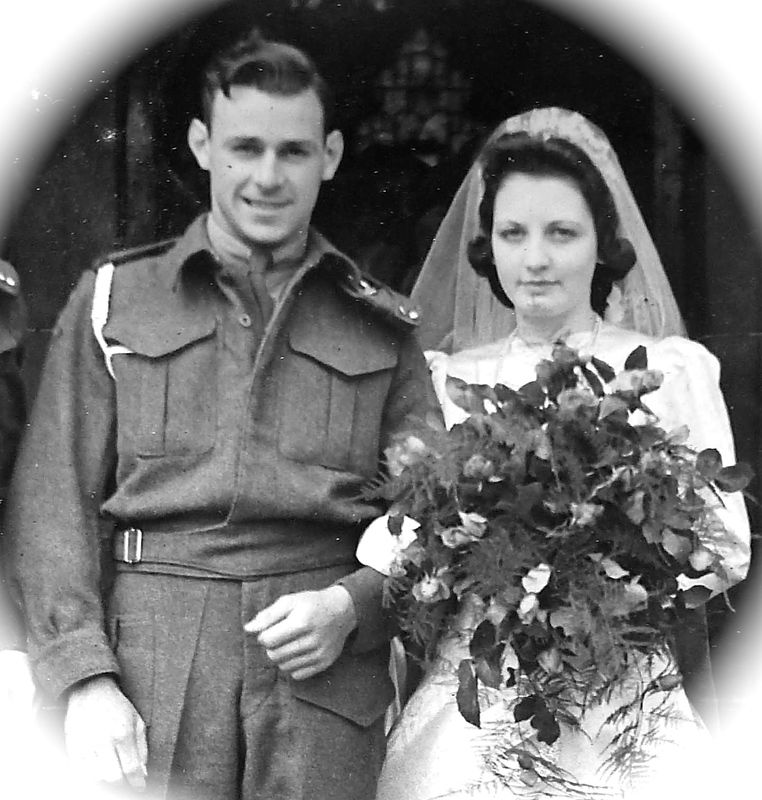 Edna and Earl Davis (Lynn McNeill’s mother and father) at their Wedding in August 1943. Earl met Edna while serving in England and they married shortly after. After spending one night together, Earl shipped out for combat in Italy where he spent the rest of his war years fighting in a number of bitterly won battles. The couple were not reunited until after the war when Earl returned to Canada where Edna was waiting after having emigrated with dozens of other war brides. Gaining a better understanding of the hundreds of thousands of Canadians and others around the world who lost their lives during the thirty year period from 1914 – 1945, is important. It was very much a part of our own family history in that Lynn’s father Earl Davis spent a half dozen years of his young life fighting for Canada while in England, Europe and Italy. Having travelled through many countries devastated by the two wars in the first half of the last century, Lynn and I could not help but gain new respect for how millions of people have rebuilt their homelands over the last 67 years. Passing by and visiting War Memorials and Museums, is a stunning reminder that not only did tens of millions of men, woman and children lost their lives, they left behind families devastated by the loss. When in England, we paused at one War Memorial in Glocester (the home city of two of Lynn’s first cousins and their families) drawn by immensity of the memorial. About six feet high, it stretches in a great semi-circle for a full block along which is displayed the names of hundreds of men from the community who lost their lives in the two world wars. Each name, with surname first, is etched on a bronze plaque in the alphabetical order. It does not take long to realize that many families in Glocester, which was largely untouched by the German bombing raids into England, had lost multiple family members. Father’s, son’s, uncles, cousins, grandchildren and down the line as the same surname stretched for ten, sometimes twenty repeats. In England, Scotland and Wales there are 54,000 more war memorials of various types. Attempts are being made to catalogue and publish all the names appearing on those memorials. Photo: One small section of the “B” names at Glocester. It is impossible to comprehend how those losses must have affected that single community in the tranquil English countryside. From our perspective, coming from small town’s in Alberta and Ontario, it meant that something in the order of 25% of all the men in those two communities would have died during the two wars. When adding in civilian deaths in bombed cities, the total could easily reach 50%. This same story was repeated hundreds of times across the length and breath of Europe, Eastern Europe, Japan, China, Indochina, the Philippines, North Africa and a dozens of other countries around the world. The death toll is incomprehensible. Consider the following numbers. The First World War (1913 – 1918) claimed the lives of nearly 10,000,000 soldiers and 8,000,000 civilians. The Second World War (1939 -1945)) claimed a further 23,000,000 soldiers and 40,000,000 civilians. These numbers includes 6,000,000 Jewish civilians. Never, in the history of mankind, have as many people been killed in conflicts between countries. While Canadians on the homefront were spared the death and destruction that was daily visited upon many other countries, the men and woman of the Canadian Armed Forces played an extraordinarily large role and paid an extremely high price in the two wars considering our population in 1940 was just 11 million. Canada’s official war historian, C.P. Stacey, wrote that with the exception of two small groups, all 494,8742 World War II, Europe-bound service personnel, embarked from Pier 21 in Halifax, Nova Scotia. Of these, 50,000 would not live to return and tens of thousands of others were seriously injured. From the time the men and women of the military boarded a ship bound for England or some other part of the world, they well knew their chances of being killed or seriously injured was very high. 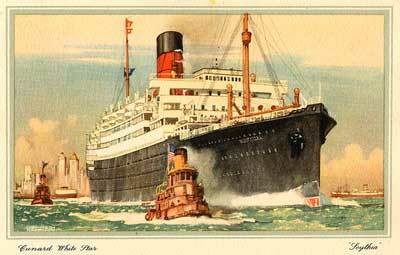 Ships such as the Cunard Liner, RMS Scythia, (pictured here in a 1938 Post Card) carried Canadian troops to and from Europe. It was on this same ship in 1956, that my wife Lynn, when four years old, travelled to Germany with her Royal Canadian Air Force father, Flight Sergant Earl Davis, and the rest of her family3 after her father was assigned to RCAF #3 Wing in Zweibrucken, Germany. During the Second World War, Lynn’s father served with the Canadian Army in the Italian campaign. While still in his teen’s he was among the first troops sent to Europe and on his return he never again spoke to his wife or children about his war experience. He passed away in 1974 at the age of 52. Much has been written about the two wars, yet, in a general sense, 67 years later, it is hard to relate to the sacrifices made. 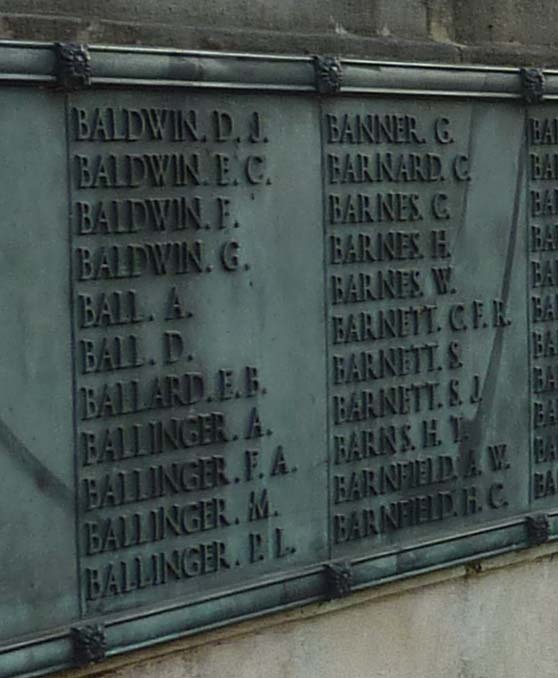 The listing of names on a memorial is an important form of remembrance, but a list does not bring to life the personal story that is hidden within each of those names. Nor does it address the hundreds of thousands who served and then returned. His only son, Barry Davis, followed in his dad’s footsteps by spending his career with the Royal Canadian Air Force. 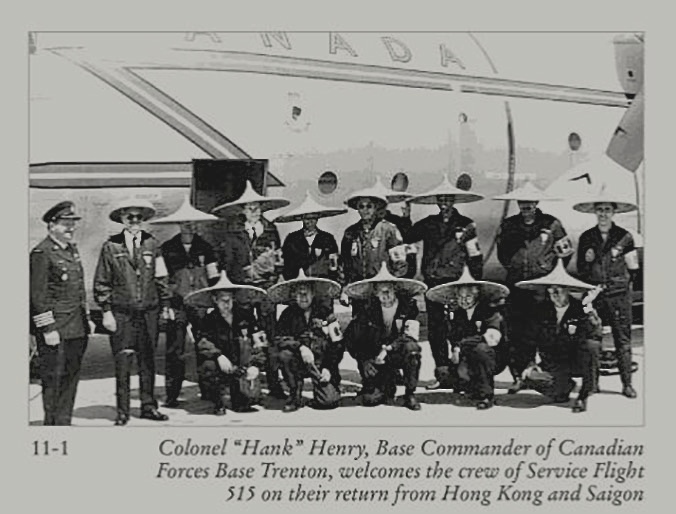 While the Canadian military did not take part in the Viet Nam war, Barry and his RCAF crew travelled to Saigon and brought back a plane load of orphaned babies (photo below taken on their return). Although millions died during the two World Wars and others such as South Korea and the Indochina Wars (outlined in an new post Resilience of the Human Spirit, we need to remember this history is about individuals and their families who lost loved ones. Sometimes one story or a film about one individual can serve to better to remind us of the sacrifices made by each of the many including young men such as Lynn’s father who, for reason’s known only to himself, never felt able to tell the story of his war experience. However, we do remember Earl and we thank you for the service you provided to Canada and the world. 2 This number does not include Royal Canadian Navy personnel serving on RCN war ships, nor the Merchant Marine and other civilians serving on commercial shipping vessels tasked with the job of moving men and supplies. 3 Lynn’s father met and married Lynn’s mother, Edna, while Earl was stationed in England.